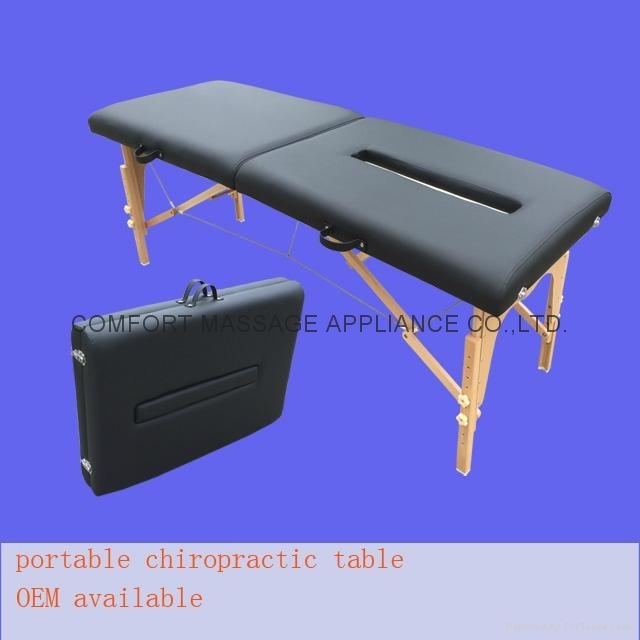 portable chiropractic table , easy to close and open,strong enough, no noise. 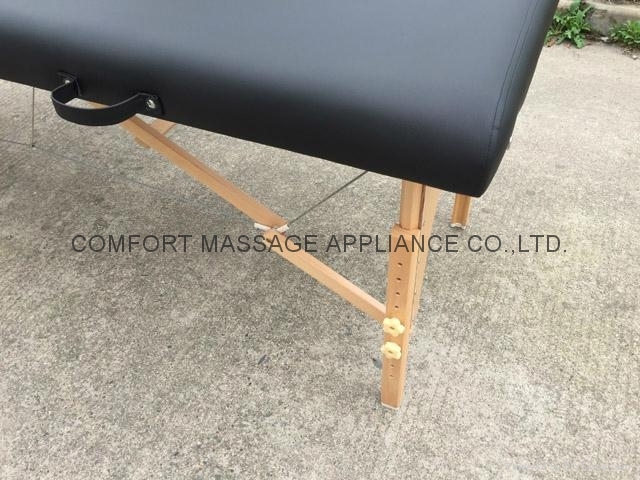 the height of the table is adjustable from 63cm to 82cm. 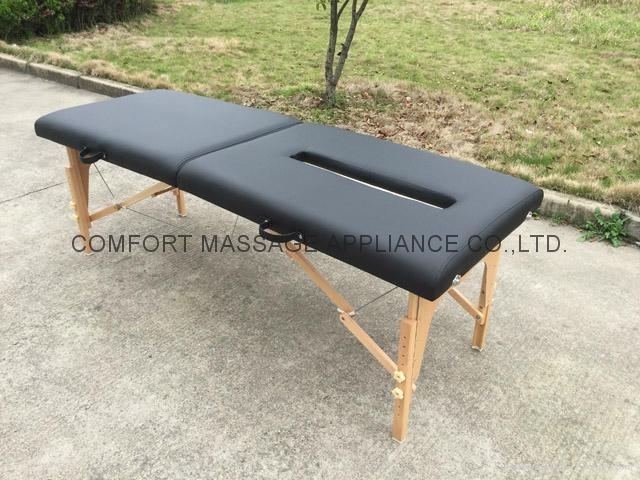 the table is passed the CE and Rohs test. length is 196cm, width is 70cm, height is 63~82cm, net weight is 19kgs. 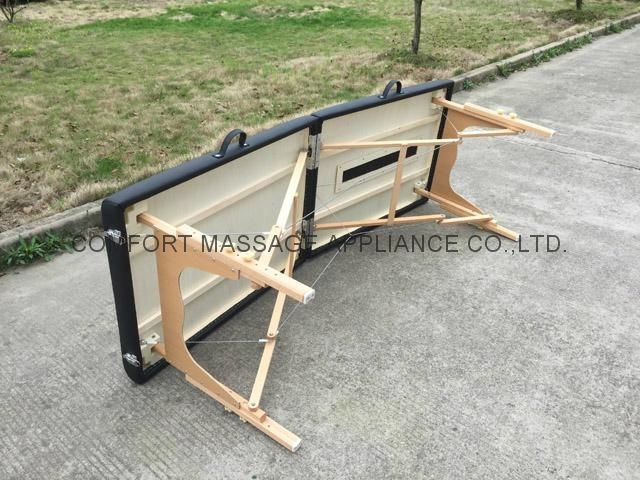 specifications︰ length is 196cm, width is 70cm, height is 63~82cm, net weight is 19kgs. 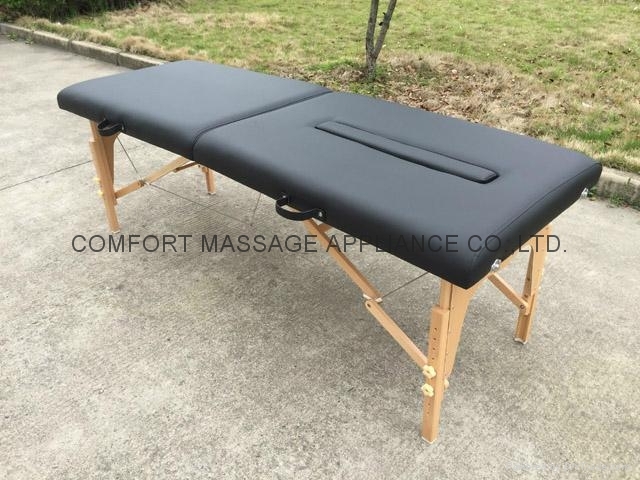 Advantages︰ portable chiropractic table , easy to close and open,strong enough, no noise.the height of the table is adjustable from 63cm to 82cm.the table is made of imported beech,PU leather, high density foam to make the high quality, the table is passed the CE and Rohs test.